Whether or not an audience will read the whole piece of content often relies on the effectiveness of its heading. Thus, for almost every kind of content, the heading is the most vital part. Due to this, every writer tries his best to write a heading that is, not only attractive and appealing, but also impressive. 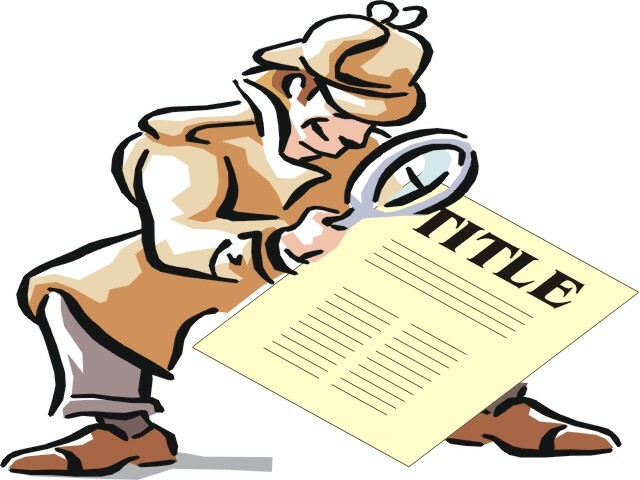 Although there is no particular method for creating an efficient title, there are definite principles that you can pursue to come about with headings that grasp attention. The present article on “Writing Headings” provides some basic tips that should lead you toward that success. Normally, readers choose to read such articles, which directly benefit them. In other words, they are concerned with the articles that educate them something new, attempt to solve their difficulties, or provide something that is significant to them. Due to this, effectual headings are often the ones that expose the advantages of the content to the proposed reader. However, the heading does not necessarily need to directly state the benefits of the content. It only needs to offer at least a clue that there is something in the content that might be valuable to the readers. To be brief, the heading should be a tease of the advantages that expect the viewers. 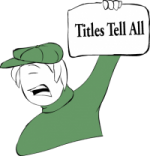 Several copywriters and marketers have a relentless idea of what type of title works for the readers. Due to this, they likely settle for the headings, which are weary and basically unproductive. You must realise that such headings do not attract readers any longer and, in fact, annoys them most of the time. Therefore, stay away from unoriginal headings and instead create your own original ones. The titles do not inevitably need to be revolutionary. However, you must attempt to play around with words and come up with a heading that is unusual and remarkable. A good heading attracts a specific group of people. It consists of phrases or words that instantly impact the audience for whom the content or copy is written. Specificity is important as readers, particularly those on the Internet, are extremely perceptive. They are eager to know immediately whether or not the content is meant for them. If they get no appropriate information from the heading, they simply overlook the article in general and move on to another website. Therefore, always make it a point to think about your readers while writing headings. Try to include words and phrases that are reasonable and interesting to them. While writing for an online business, one may be enticed to add keywords to his heading. After all, this will help in increasing the web traffic. However, as much as this helps your SEO, adding keywords to the heading can actually hamper its quality. While in the desire for crafting the most SEO-friendly heading, one may of course compromise the other elements that should be present in the heading. Thus, one must be concerned about the more essential aspects of writing headings before focusing on SEO. However, wherever possible, one can always add in some appropriate keywords while retaining the effectiveness of the heading, following the above mentioned tips. Writing headings is not as difficult as it may seem in the beginning. By following the above mentioned tips, you will soon understand why writing headings can be actually unproblematic. However, it will just take some gradual practice to perfect it. Different magazines have different layout styles, which determine the content choices. This means that a magazine will not change its layout and the space allotted to each article type, to accommodate a particular article. The article would be edited and formatted in the magazines standard manner. Space: Each article has a word limit to accommodate it in the space allotted in the magazines layout. Paragraph length: Magazine articles have shorter paragraphs compared to reports and essays. Visuals: Visuals are often used to add more clarity to the article and are designed considering the target audiences needs and expectations. Sections and headings: Sections are designed according to the space allotted for an article. Crossheads are used as a form of signposting to direct readers attention. Proximity: This refers to the spatial layout that displays related objects. For example, you be placed close to each other and to the relevant text. Alignment: This refers to balancing the positions of horizontal and vertical elements on a page in relation to each other. For example, you can align the objects on the left with the left edge of the page and the objects on the right with the right edge of the page. Repetition: This refers to the repetition of elements that bind different sections together. Bullet points, colors, and typefaces can be repeated for a visual impact and to help readers recognize and scan through pages easily and quickly. Contrast: This is the opposite of repetition. It refers to putting together different elements and creating a visual impression. The use of contrasting elements acts as an information hierarchy. It introduces an element of surprise and indicates that the article has depth and variety. It can be used in colors, fonts and direction. To create an effective and impressive publication, you need to balance repetition and contrast. Title: This is used for all articles except new stories; headline is used for news stories. Titles can be creative and cryptic; headlines are not: they are structured in sentence form, present tense. For example, a title can be Swept Away; a headline can be Largest Tsunami Ever Recorded Hits Country. Pullquote: It refers to using text of an article as a highlighting device “ the pullquotes from an article should be able to tell a story (i.e., summarize the main points of the article). Subhead: It refers to the text that comes below the title and is used to give more information on the articles topic. Subheads are useful when the title is too enigmatic and needs explanation. Crosshead: It is the journalistic term for heading. Caption: It is the text that accompanies a visual.